A new project from two Lula Cafe chefs is coming to 3059 W. Diversey Ave.
Jason Hammel is teaming with Yoshi Yamada on a new project with an outdoor patio at 3059 W. Diversey Ave.
LOGAN SQUARE — Fans of the venerable Lula Cafe are in for a treat. Jason Hammel, owner/chef at Lula, is teaming up with Yoshi Yamada, chef at Lula and Blackbird, on a new project with an outdoor patio at 3059 W. Diversey Ave., according to a city permit issued in mid-April. The chefs are operating under On The Fly Hospitality LLC, according to the permit. There is another Chicago-based restaurant group with the same name, but it is not affiliated, according to Hammel. Details are scarce. Hammel was reached, but declined to comment, except to say that he is working on a new project at that address. His attorney, Brian Troglia, did not immediately respond to a request for comment. 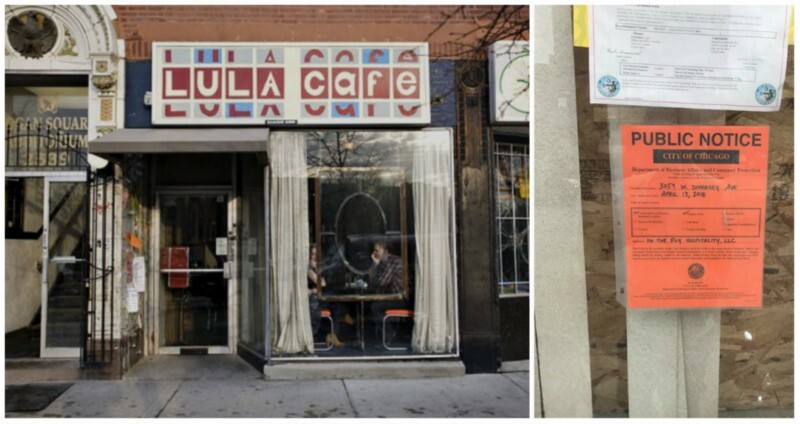 Lula Cafe is considered a pioneer of Logan Square’s exploding restaurant scene. Hammel opened the farm-to-table restaurant with his wife, Amalea Tshilds, back in 1999, long before the neighborhood was known for its restaurants. Just last year, Hammel opened a swanky new restaurant inside the Museum of Contemporary Art, called Marisol, serving everything from chilled octopus with saffron chips ($13) to fried quail ($18). Given that both Hammel and Yamada are involved, food sourced from Midwestern farms could very well be the focus of the new establishment.